Getting stuck on the side of the road is always an emergency. 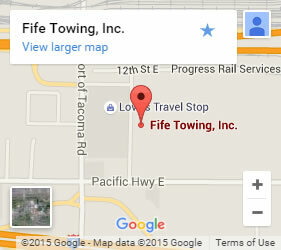 Fife Service & Towing understands the stress that builds while waiting for help. We have an extensive fleet of vehicles service Tacoma and the surrounding area. We get to you quickly and we come prepared to problem-solve just about any situation. Our towing professionals help with everything from flat tires and fuel deliveries to getting locked out. If we aren’t able to get your vehicle running again, we can tow it to your mechanic of choice. 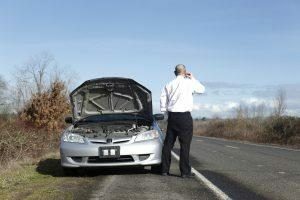 Call now for emergency roadside service and get help on the way—fast! Our experienced team has extensive knowledge of towing and assistance services for commercial vehicles as well as commuter cars. Whatever you drive and wherever you are, we can help. We offer roadside assistance 24-hours a day, 7 days a week. When you call for assistance, you don’t want whoever shows up to be unprepared. We bring everything necessary to help, including the right tow truck in case your vehicle cannot be started. We have winches for getting you out of the mud and can even handle water recoveries. Our fleet includes cranes as well, for those tight situations where nothing else can help. We hand light-duty, heavy-duty, and semi-truck assistance and towing. We have the qualified professionals and the right equipment to handle any reason for a breakdown wherever you get stuck in Tacoma. As a locally-owned business serving the Tacoma area for over 50 years, we stake our reputation on the excellent service we provide, one customer at a time. Call now and get help on the way, fast!